For Christmas we received Market Math, the cookbook from Food & Wine which is based on the column of the same name from their magazine. In the column, they take one ingredient and use it four ways. It is genius and allows you to buy that bigger package of something and know it won’t go to waste. If you’ve been reading, you know we love our magazines. Food & Wine is one of our very favorite for their recipes, but also for their 10 Objects of Our Affection column which we tend to drool over. When we received our February 2016 issue one recipe from the Market Math column caught our attention. We are always in search of different breakfast recipes. We try (fairly regularly) to make our kids “real” breakfasts. They do have cereal and yogurt on super busy mornings, but when they do we often hear “is this it? This is our breakfast?”…so clearly they are getting used to the good stuff. 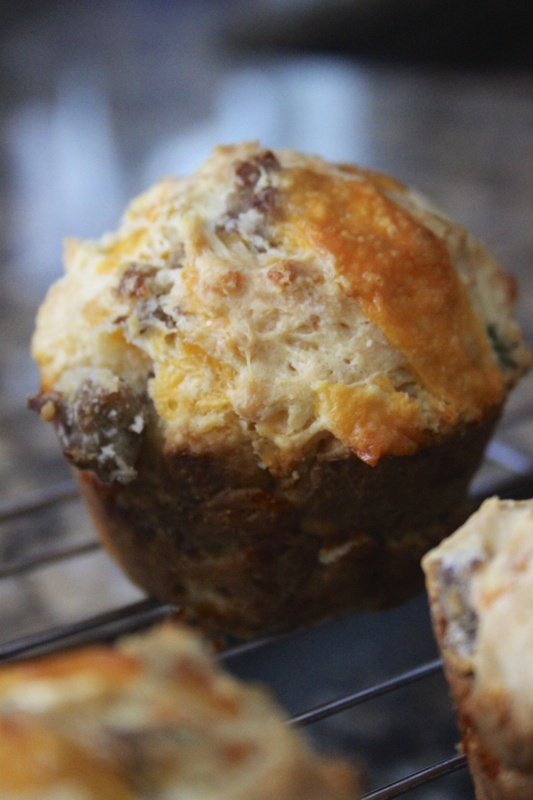 We can only do these “real” breakfasts if we get up early or prep the night before…which is why this recipe by Kay Chun for Sausage and Cheddar muffins seemed ideal. They can be made the day before and kept in the fridge and then reheated the following day for ten minutes. That is ten minutes that we can be getting the kids ready for school, feeding the dog or making beds. 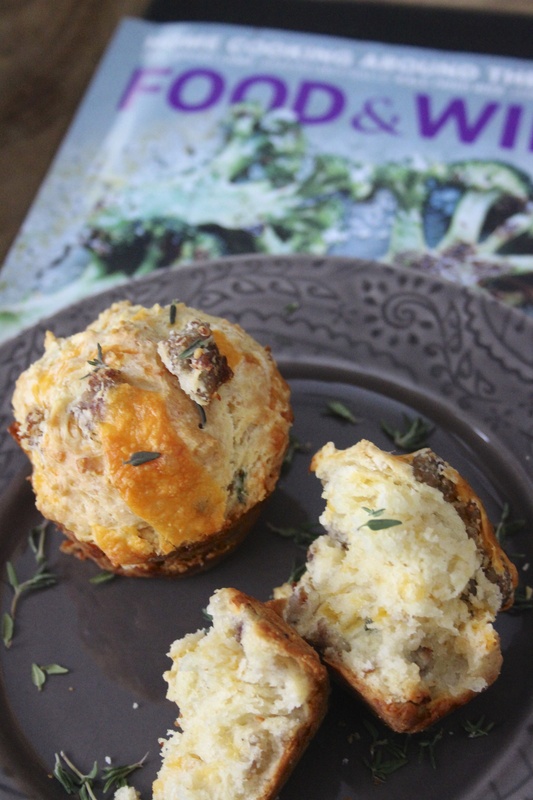 We altered this recipe a little by adding thyme and using a non-breakfast sausage that we make ourselves. Sift all the dry ingredients together and then stir in the rest. Spoon into greased muffin tins and bake at 375 for about 30 minutes or until they are golden brown on the top. 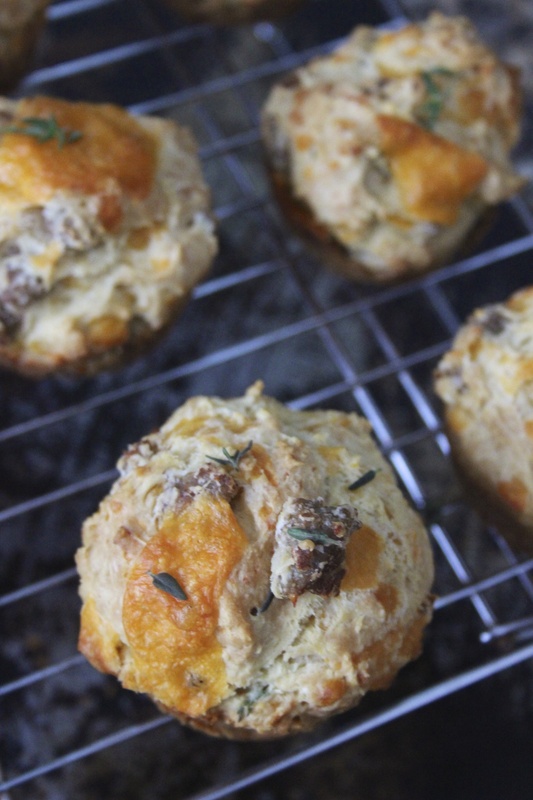 As I mentioned above, we added a lot of thyme to ours and used our homemade Lincolnshire Sausage (pardon the quality of that link…that was in the very early days of Charlotte Julienne!) in place of breakfast sausage. 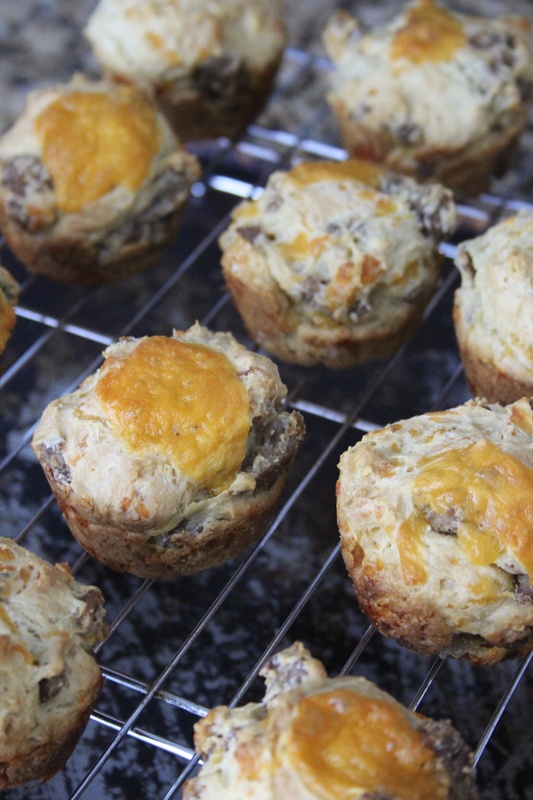 The end result was a delicious savory muffin that could easily make the switch from breakfast to a side for chili or beef stew. They can be made ahead and reheated the next morning at 350 for ten minutes. If you get a chance check out the Market Math column in Food & Wine. We are sure you will love it as much as we do!